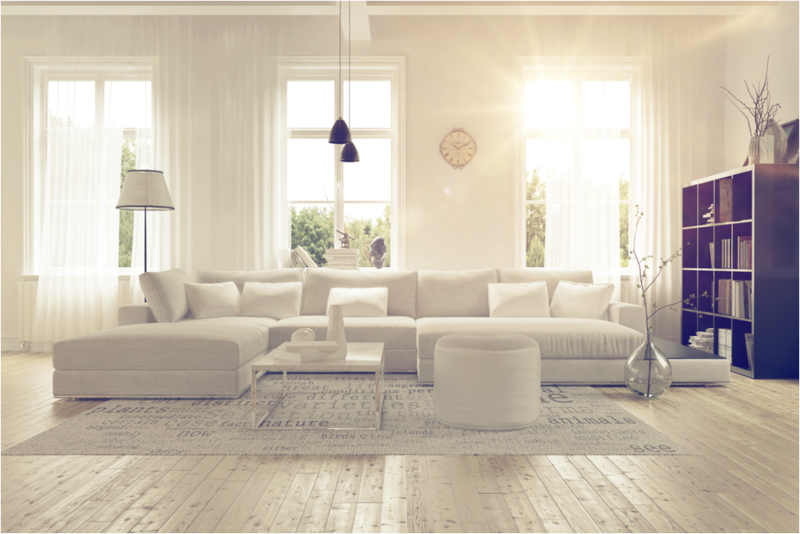 Vinyl and wood laminate floors are great for those of us who crave convenience, but not everyone is satisfied with a mainstream look. 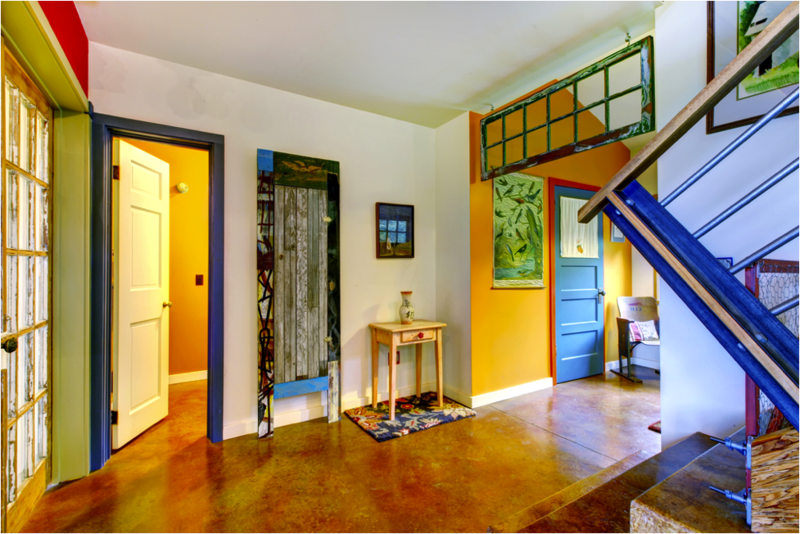 If you’re the person in your group of friends who opts for the most daring fashion choices and picked the cool, quirky cottage for your abode, then you need a new floor in your home that complements your edgy, risk-taking style. These ideas range from noveau twists on more conventional materials to completely out-there surfaces that will definitely turn some heads, and give you a chance to express your unique taste throughout every inch on your home. Portlandia was right: the dream of the 1890s is alive and well—in Portland, Brooklyn, Austin, and all over the country, really. That’s bringing a rustic vibe back into vogue, and it’s been making its way into homes in the form of highly textured wood flooring. Pine plank floors and utility, tavern or cabin grade pieces have natural defects which add a subtle patterned effect to rooms, and keep otherwise unusable materials out of landfills, making it a more sustainable alternative to higher grade hardwoods. It’s also super cheap—this is the stuff lumber mills are trying to get rid of. Careful when you install, however—you’ll need to purchase extra wood for the project because you’ll likely have to pitch some pieces that are too short or split to be workable. Some of us prefer a look that’s more of this century, however. Industrial surfaces are super trendy and edgy, especially when customized in hip, unique ways—and in the world of flooring, perhaps no material is as diverse as concrete. It can be stamped to mimic tile or stone, or stained in luminous, iridescent colors—you can even paint it, stenciling on elaborate mandalas or floral-inspired patterns in almost any design imaginable. Concrete’s also durable and VOC-free, and it stays cool in the summertime, so it will help help your home be more energy-efficient, too! Is this Pinterest or real life? The DIY-obsessed have been taking floors to new heights, and that means tiling floors in materials from your wildest dreams. Got a lot of used bottle caps? A ton of wine corks? A bunch of leather belts? What have you been saving them for if not to use them to create a one-of-a-kind surface you can bet will stand out. 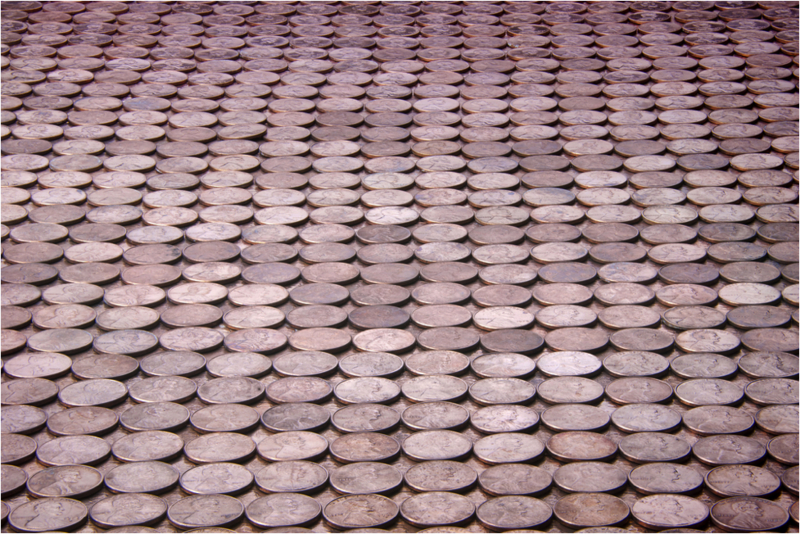 I particularly love one idea I’ve seen popping up lately—floors tiled with copper pennies. There’s something about their bright, multicolored surfaces that virtually sings with joy, and they’re actually pretty easy to install, too. You can attach the pennies yourself by placing them on self-adhering fiberglass, and then grouting and sealing as usual. Ever wished that you could take the sanctuary of the spa and bring it right to your home? 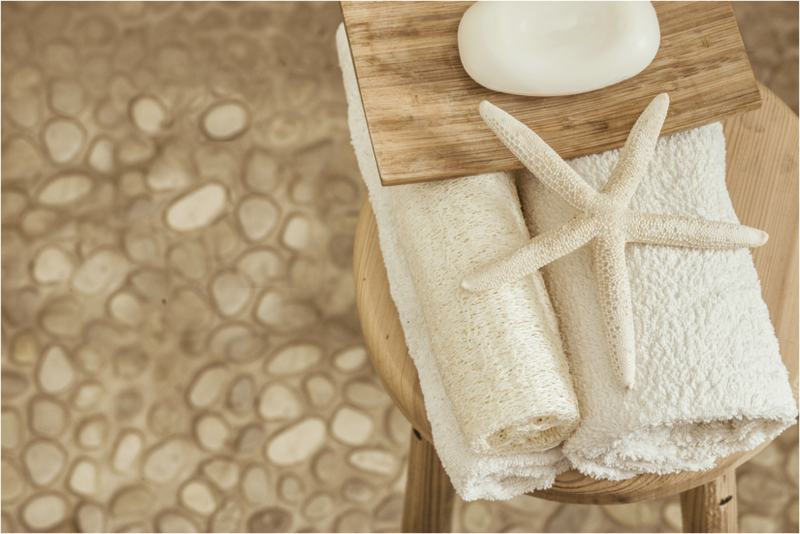 While I can’t promise you’ll get any messages out of the deal, you can at least capture some of the clean, natural look of the resort by integrating riverstone into your flooring. This idea works really well as a transitional look. Homeowners have successfully adopted it around bathtubs and behind fireplaces as a companion to the main tile or wood flooring in the room. Some even take the aesthetic one step further and scrap the moulding at the border between the two floors, opting instead for a cut line in an organic shape. That makes it appear as though the piece hovers just on the margin between our organized, manmade forms and the gentle chaos of nature. Are you inspired yet? I am!